It is quick and stress-free. Choose your therapist, time and type of massage in minutes. A Spirit and Body therapist will call to confirm your appointment and go over any concerns you may have. Massage benefits may include: Stress Reduction, Emotional Balance, Improved Circulation, Increased Energy and Productivity. Individual and couples appointments available. Benefits from massage may include: Pain Relief, Physical healing, and Increased Flexibility. Neuromuscular & Trigger Point Therapy, Myofascial, and Prenatal. Also available for Corporate Chair Events. 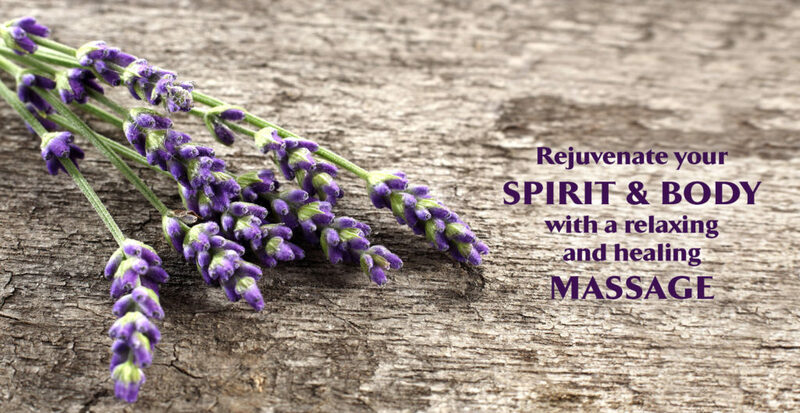 Rejuvenate your spirit and body with a relaxing and healing massage. Choose from special massage techniques that reverse the negative effects of stress, repair damaged muscle tissue and remove pain throughout your body. Such techniques may also improve circulation, detoxify your body, relieve tension, improve digestion, enhance muscle tone and increase mental alertness. Scheduling regular massage sessions will not only benefit the body, they will benefit the mind as well. Experience mental and spiritual healing as your mind releases stress and worry, allowing a renewing sense to energy and emotional wellbeing to enter your spirit.